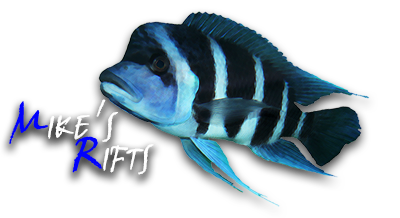 Mike's Rifts is a 5 star rated aquatic trader and operates from home premises. Visits and viewings of our Tanganyikan and Malawi cichlids can be arranged beforehand for a mutually suitable time. We are available 7 days a week including most evenings. If you cannot visit to pick up stock then we can arrange for fish to be shipped to you. Stock enquiries can be made via telephone, email or facebook private message. Payments can be made using debit card, bank transfer or cash. 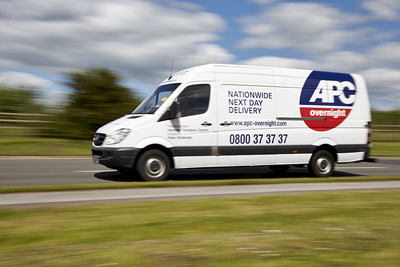 We offer a UK wide, next day delivery service with APC couriers. Due to the efforts we put into shipping our fish correctly the minimum shipment value is £75.00 worth of live stock. We make every effort possible to ensure that our Tanganyikan and Malawi cichlids are packed to the highest of standards and 99% of consignments arrive on time and in good condition but sometimes events occur that are out of our control. Any losses incurred during shipping will require notification as soon as the fish are unpacked. Photographic proof is required before any replacements or credit is agreed. Delivery days are Tuesday, Wednesday, Thursday and Friday. Consignments can arrive any time between 8-12pm and customers must ensure they are at home ready to recieve the delivery during those times. Fish are double bagged and packed inside polystyrene shipping boxes. All fish are starved for 24hrs before shipping and we require 48hrs notice before orders are shipped. During cold weather periods we reserve the right to hold back consignments until the weather improves. Whenever feasible we encourage all customers to visit and collect their fish in person, a drive home with your fish is far less stressful for them than an overnight journey via a courier. Water conditions in our tanks are maintained at a pH of 7.8-8.0 with a temperature of 26C. Our fish are fed primarily on flake food. When your new Tanganyikan or Malawi cichlids arrive after a long journey it's important not to rush them into their new tank. We've found that using a container and a slow flow of water from the main tank is the best way to acclimatise fish to their new water conditions. Whilst in transit the fish will excrete waste products such as ammonia and carbon dioxide which will build up in the water. This will begin to slowly bring down the pH of the water so that by the time the fish arrive the pH may well have dropped several degrees. To manage this change back into good water a plastic bucket or container can be used along with a length of airline. Gently empty the fish into the plastic container with their bagging water. Remove most of the bagging water and just leave enough to cover the fish. Take a length of airline tubing and begin to siphon water from the aquarium into the bucket. Control the flow using an airline clamp or by tying a looped knot in the airline. Adjust the water flow so it enters very slowly over the space of 30-40mins so that the remaining volume of bagging water is diluted 4-5 times by the new water. After this time the fish will be ready to be netted and moved to their new quarters. If the fish begin to look distressed then you can adjust the flow. If you receive the fish and their bagging water is very cold then you can float the bags before hand in the main tank to warm them before using the above technique. Do not add the shipping water to your tank as it will contain high levels of dissolved waste! Once the fish are ready gently net and and release them into their new home. It's always best practice to place any new fish into a quarantine tank before being added to an already stocked and established tank. Fish that have been moved from one tank to another especially with a long journey in-between can be more prone to illness due to the stress of being handled and moved. We recommend a quarantine period of 2-3 weeks so that the fish are allowed to rest and recuperate. Any resulting health issues can then be resolved whilst the fish are away from your main stock tank. A quarantine tank is just a seperate tank with a heater, filter and cover. The decor can be sparse and a substrate is not necessary. Whilst in quarantine your new fish can adjust to your water parameters and feeding regimes so when later introduced to the main tank all they have to cope with is their new tank mates. This will reduce the amount of stress they are placed under and therefore decrease the risks of any adverse effects on their health. Once the fish are ready to go into their new tank we also advise to remove and then re-arrange the tanks decor. This will disrupt any established territorial fish therefore allowing the new fish an easier time settling into their new surroundings. © Copyright 2009-2019 Mike's Rifts. All rights reserved.